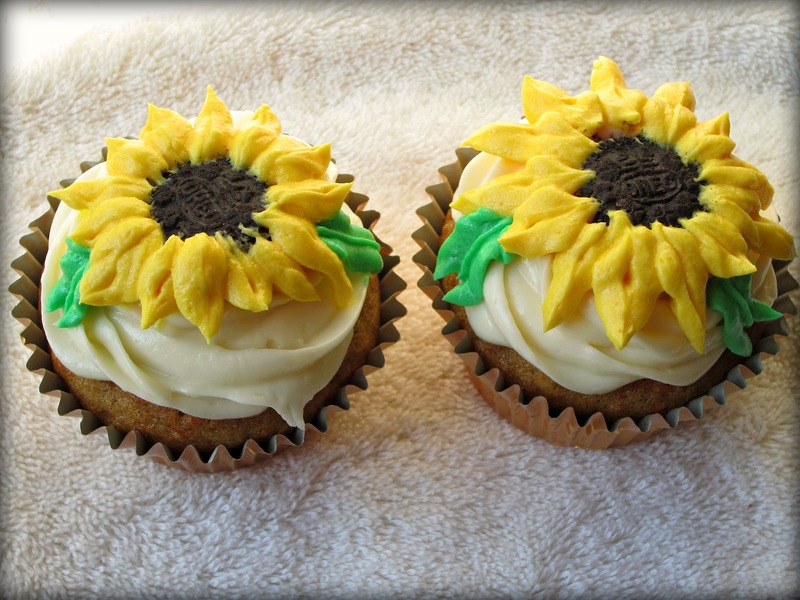 these sunflower cupcakes were made for a bridal shower this past weekend. jaimie, the host of the shower, wanted to go with a western theme for her little sister randi's special day. i literally died when i saw the cute cowboy boots and sunflowers she was decking out the room with. 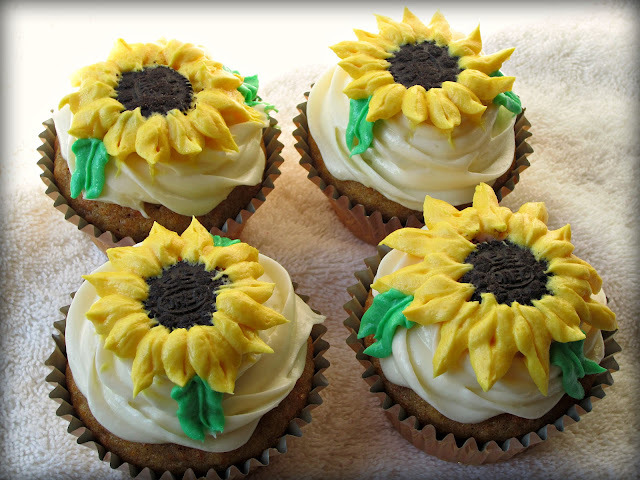 we wanted the cupcakes to match that country chic theme she was going for. 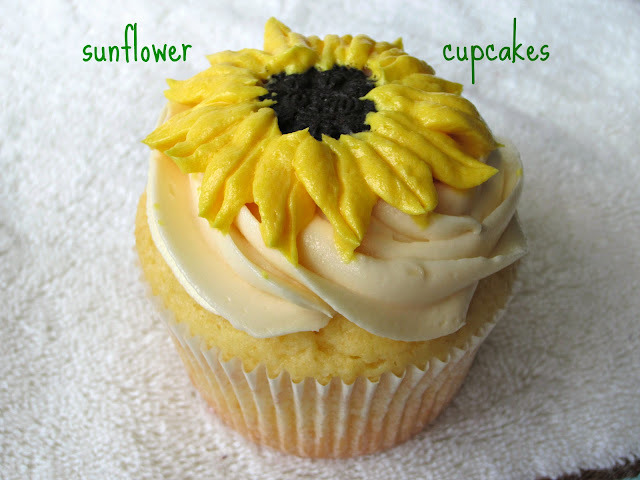 we chose two cupcake flavors, vanilla and carrot cake (the bride's fave) and i topped each cupcake with a buttercream sunflower made from tinted frosting. i have to say i was sqealing with delight when i saw these come together. almost too cute to eat! another successful baking endeavor! i truly hope randi had an amazing bridal shower! congrats! 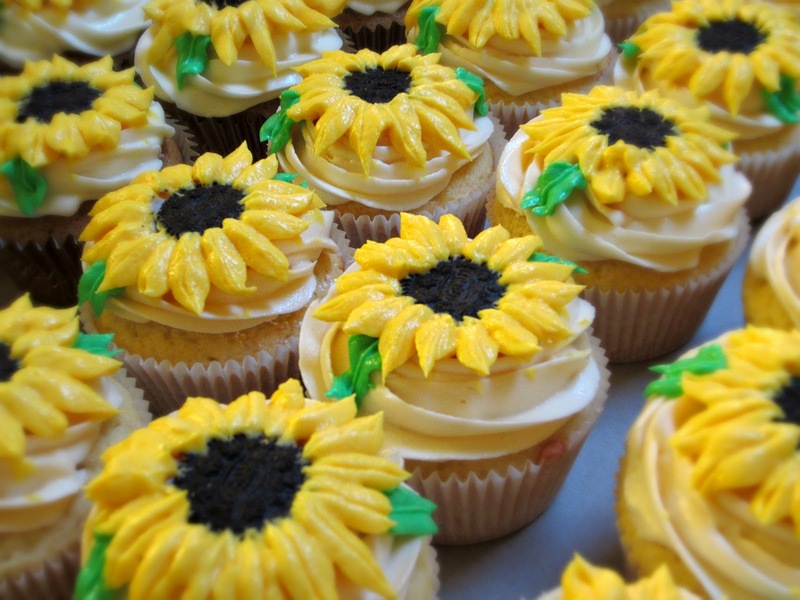 have a special event coming up and want a snazzy cupcake for it? you know where to find me!